Item # 309686 Stash Points: 1,395 (?) This is the number of points you get in The Zumiez Stash for purchasing this item. Stash points are redeemable for exclusive rewards only available to Zumiez Stash members. To redeem your points check out the rewards catalog on thestash.zumiez.com. 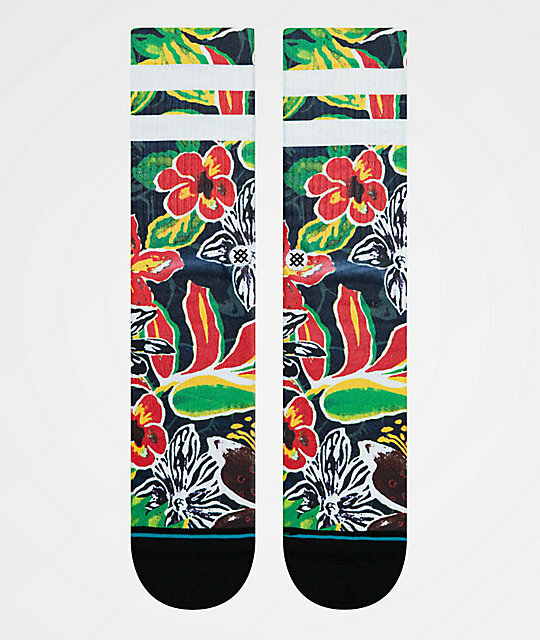 Grab a tropical style from head to toe in the Sinharaja Crew Socks. 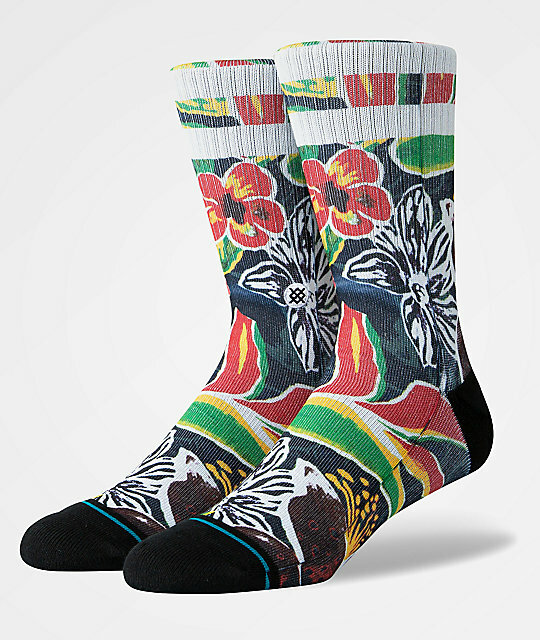 These quality crew socks from Stance feature their signature logo embroidered at the ankle and are covered in a sublimated jungle print throughout. Ergonomic arch support and extra cushioning throughout are sure to make these colorful socks your new favorite style. Sinharaja Crew Socks from Stance. 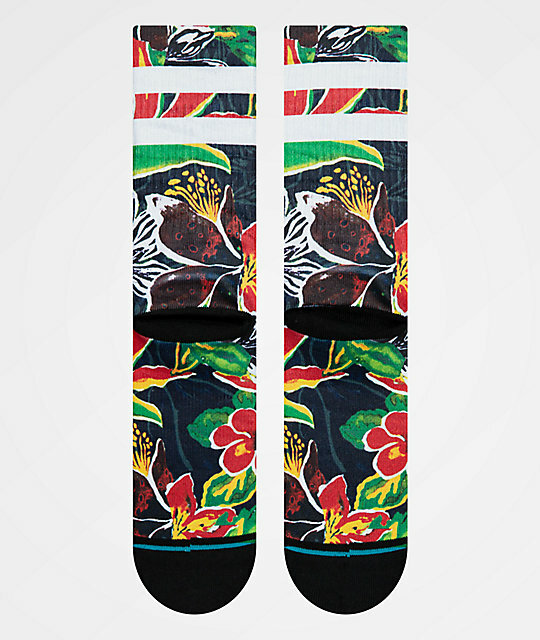 Sublimated multicolored tropical flower print throughout.